Please enter the wording/content to be included on your drawing, as well as any other instructions. If it does not fit here, you can also send it to me separately in a message. 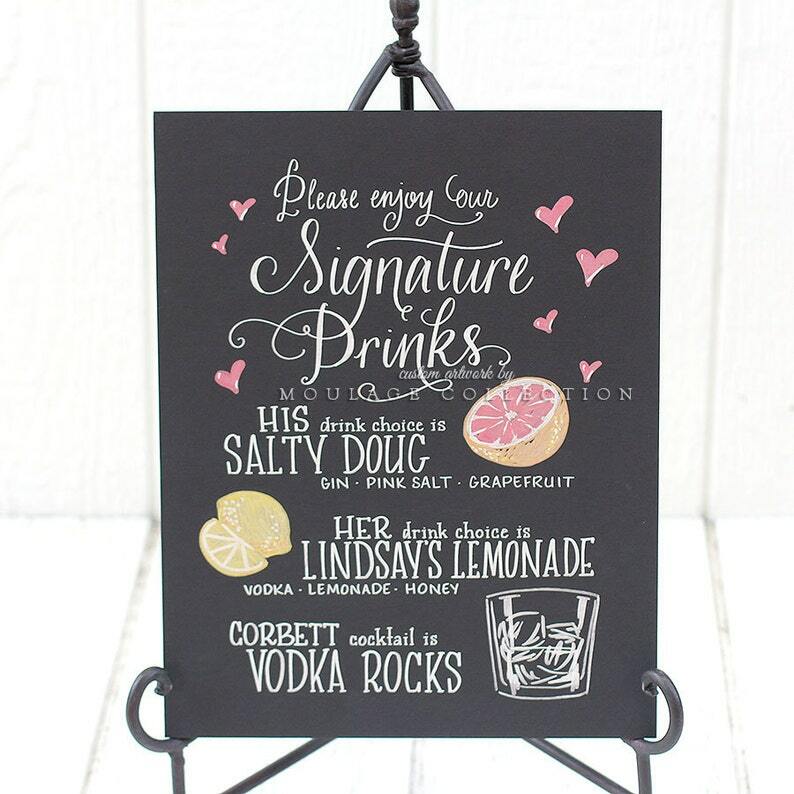 A hand-drawn menu from Moulage Collection is a charming way to advertise your signature drinks, and a perfect keepsake to display in your home afterwards. I complete the drawing entirely by hand and send you the finished artwork. I use archival quality ink, not chalk, so the drawing will not rub off, fade, or discolor. The thin, lightweight art board measures 11 by 14 inches, and is rigid enough to be propped up on its own, but thin enough to frame easily. The cost of the drawing includes any colors, layout, and illustrations. I welcome you to order as far in advance as possible to reserve your spot on my schedule, so that I'll be ready to complete it as soon as your content is finalized. By placing your order, you agree to my shop policies: www.etsy.com/shop/MoulageCollection/policy and acknowledge that you're aware of all the information provided in the listing(s) you purchase.